Unfair Wills / Blog / Probate & Administration / Informal wills can be probated, but at what cost? The Estate of Roger Christopher Currie, late of Balmain  NSWSC 1098 Applications for informal wills to be admitted to probate are not as uncommon as you may think. Sometimes, an informal will is prepared due to unavoidable circumstances, but other times, there was ample time and opportunity for a valid and formal will to be made by a testator. The above decision was delivered by a judge of the Supreme Court of New South Wales after one plaintiff and three defendants addressed the question of whether computer documents created by the deceased were intended by him to be or to operate as his will. The litigation regarding the nature of any wills of the deceased was also heard in the context of a family provision claim made by a person living in a close personal relationship with the deceased as at the date of his death. The reasons given by the judge related to the probate proceedings and the dispute about the deceased’s last will. Evidence was put before the Court about a conversation the deceased had with a friend about making a will on a computer. The deceased said to his friend, “if anything happens to me I have made a will. It’s encrypted”. The password to decrypt and read the will was told to the friend, but years later, she couldn’t recall what the password was. It was also unclear on which computer or device the document was supposed to be on as there were numerous items of electrical equipment and computer devices in the house. The deceased had suffered from heart problems for a long time and the possibility of an unexpected death was something he was conscious of. The deceased had surgery for his heart problems, which he had delayed for years, but died at home only a matter of days after his surgery. After the deceased’s death, extensive searches were undertaken for his will. The Court considered witness evidence to the effect that the deceased said there was a will located in a wooden box in his house. There was also evidence given that a will was made and placed in a grey folder in his home office. The confusion this caused for those looking for a will after his death was amplified as the evidence about the encrypted electronic will was not given until over 2 years after the deceased’s death. A number of encrypted USB sticks were found at the deceased’s house. The data on the USB sticks was able to be decrypted and the electronic document, the subject of the application for probate, was discovered. No paper or other will was found. The electronic document appeared to be a will which named an executor and made various gifts of property to different beneficiaries. The document was apparently last modified on 1 April 2009 by the deceased. The Court was asked to consider whether pursuant to section 8 of the Succession Act (NSW) 2006 it would dispense with the requirements for compliance with the formal rules for valid will and instead admit the electronic document to probate as the deceased’s last will. Section 8 provides: 8 When may the Court dispense with the requirements for execution, alteration or revocation of wills? 1. This section applies to a document, or part of a document, that: a) purports to state the testamentary intentions of a deceased person, and b) has not been executed in accordance with this Part. 2. The document, or part of the document, forms: a) the deceased person’s will—if the Court is satisfied that the person intended it to form his or her will, or b) an alteration to the deceased person’s will—if the Court is satisfied that the person intended it to form an alteration to his or her will, or c) a full or partial revocation of the deceased person’s will—if the Court is satisfied that the person intended it to be a full or partial revocation of his or her will. 3. In making a decision under subsection (2), the Court may, in addition to the document or part, have regard to: a) any evidence relating to the manner in which the document or part was executed, and b) any evidence of the testamentary intentions of the deceased person, including evidence of statements made by the deceased person. 4. Subsection (3) does not limit the matters that the Court may have regard to in making a decision under subsection (2). 5. This section applies to a document whether it came into existence within or outside the State. The Court was required to balance the formal rules with what it could infer was the deceased’s intention when the document was created by reference to the other available evidence. Other similar cases were examined, and the following was said by the judge: “Reference was also made to Yazbek v Yazbek  NSWSC 594 a case in which Slattery J upheld as the will of the deceased a Microsoft Word document on the deceased’s computer. There are some similarities between the facts of that case and the present case. In that case as in this the electronic file included the word “will”. 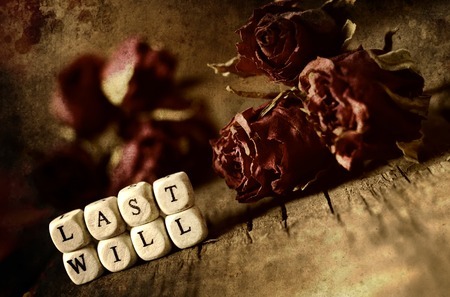 In both cases the deceased informed others (or another) that he had a “will”. In Yazbek v Yazbek the deceased was departing for international travel. In the present case the deceased was undergoing major surgery about which he had always been concerned. In each case the deceased typed his name at the conclusion of the document. The deceased in each case referred to the will being (expressly or by inference) on his computer and was found undeleted. In Yazbek v Yazbek the deceased opened the will document just over a fortnight before his death. In the present case the deceased opened the will document about nine weeks before his death” The judge was satisfied the electronic document was intended to be the deceased’s will. Probate was granted and the person named as executor in the will was appointed to carry out that role. What is important to consider about his matter is that there was a history of estate litigation in the family. The deceased’s mother’s estate had involved litigation about an informal will, and his father’s estate had also involved disputed matters. The deceased was on notice of his ill-health for a long time and his estate was not insignificant. The probate proceedings were commenced on 21 February 2013 and only determined in August 2015. The matter was litigated for about 2.5 years in the Supreme Court. The legal costs would have been significant and far in excess of the cost of attending a solicitor to formalise a will setting out testamentary wishes. This case serves as a reminder that taking steps now to organise your estate planning is a good way to avoid the cost, difficulty and issues that can arise if your affairs are not in order. It also highlights that unless you record your wishes in a way that people can find easily after your death, it is possible your wishes will not be carried out as you intended. 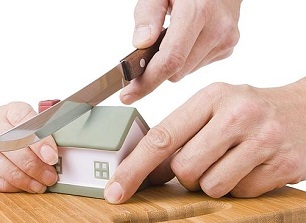 Should you wish to discuss your estate planning, or to make arrangements to make a formal and valid will with the benefit of experienced and qualified advice, please do not hesitate to contact Turner Freeman Lawyers on 13 43 63.